Leolandia is the most popular park in Italy, ranked 1st according to the TripAdvisor’s ranking and the only Italian attraction mentioned among the world’s 25 most popular theme parks in the world. 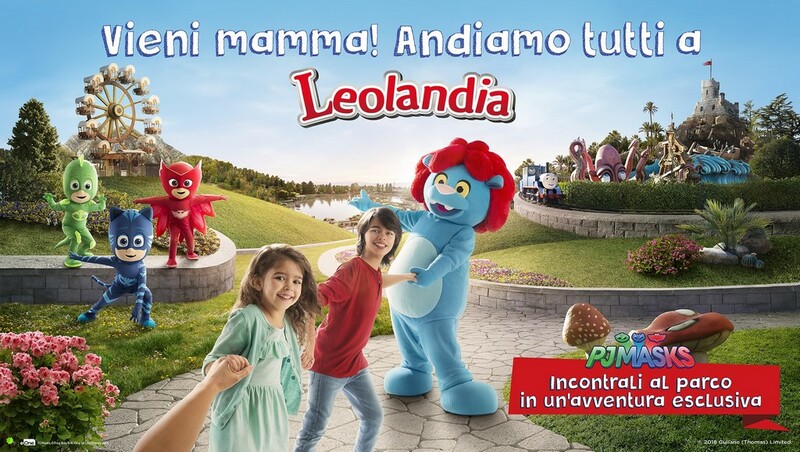 Leolandia, which is located in a big green park and 30 minutes from Milan, offers 6 themed areas and over 40 attractions for all ages. The park is perfect place where families can spend a day full of fun and where dreams come to life. Children can meet PJ Masks heroes, the most popular masked heroes among children, have fun with Masha and the Bear’s new surprises, travel on board Thomas the Tank Engine for a tour around the park and visit Peppa Pig’s World. This way, children can feel to be part of their favourite cartoons. And, finally yet importantly, visitors can meet Geronimo Stilton in fur and whiskers and help him on a very special mission. In addition, the park offers exciting shows with international dancers and acrobats, not to mention the air of excitement of pirate and cowboy adventures, entertainment and rides aboard fearless pirate ships or the craziest trunks of the west, exciting human cannonball and flying machines. Guests who love exploring can visit the aquarium, reptile house, farm and historic Minitalia, a tour among 160 exact scale replicas of the most beautiful monuments in Italy. In addition, there are a wide range of services and facilities for mums and babies: comfortable nursery areas with changing tables and bottle warmers, highchairs, a wide selection of baby food and strollers for rental.